Good Monday, everyone! I hope you had a wonderful weekend! I shared this recipe from Classy Cooking last Friday. It was tucked away at the end of my post where no one would be able to find it in the future. We made it this weekend and it is so delicious that I decided it deserves it's own post; someplace easy to find. 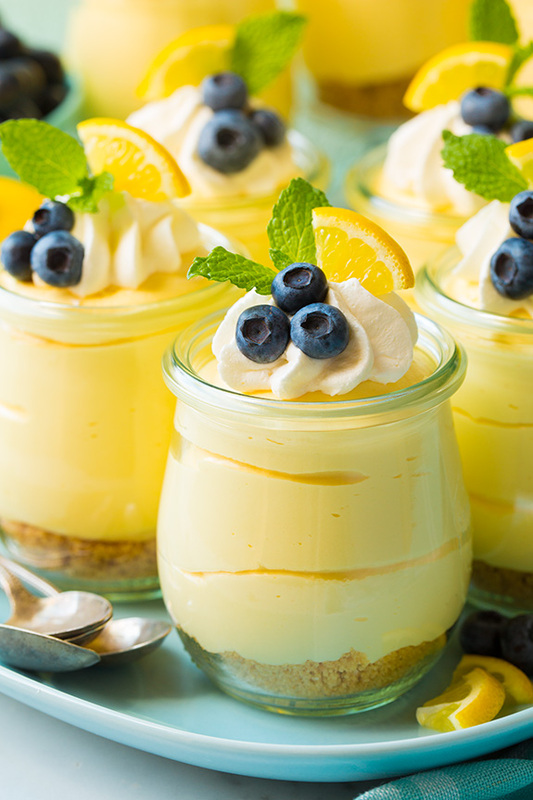 If you love lemony desserts, cheesecake, and mousse, you'll love this dessert. It is so refreshing with just the right amount of lemon flavor. My family loved it! It wasn't difficult to make and it didn't take much time - my granddaughter, London, helped me make it. I was unable to find the lemon curd (Dickenson's) that is suggested in the recipe. Instead, I used lemon pie filing in a jar and it turned out delicious!